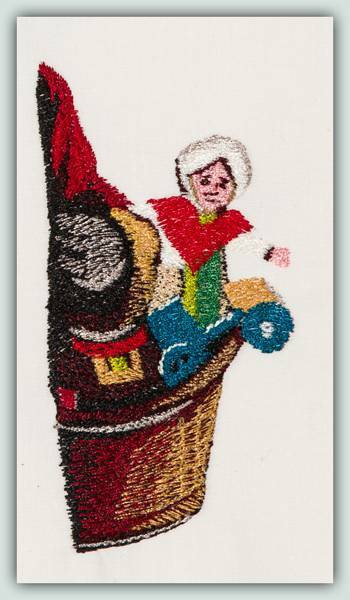 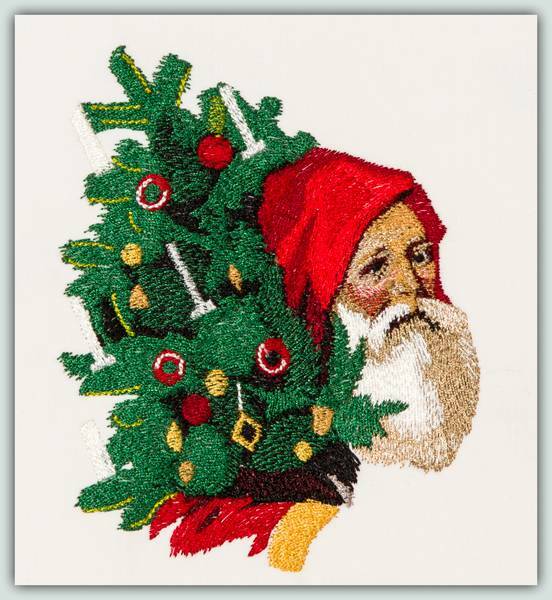 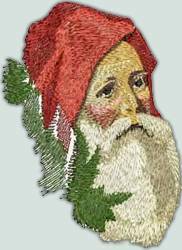 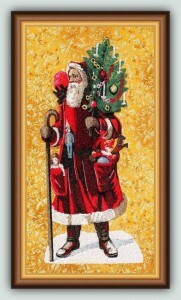 A beautiful Victorian Santa to stitch on pillows, wall hangings, a tree skirt or a Welcome banner for the front door. 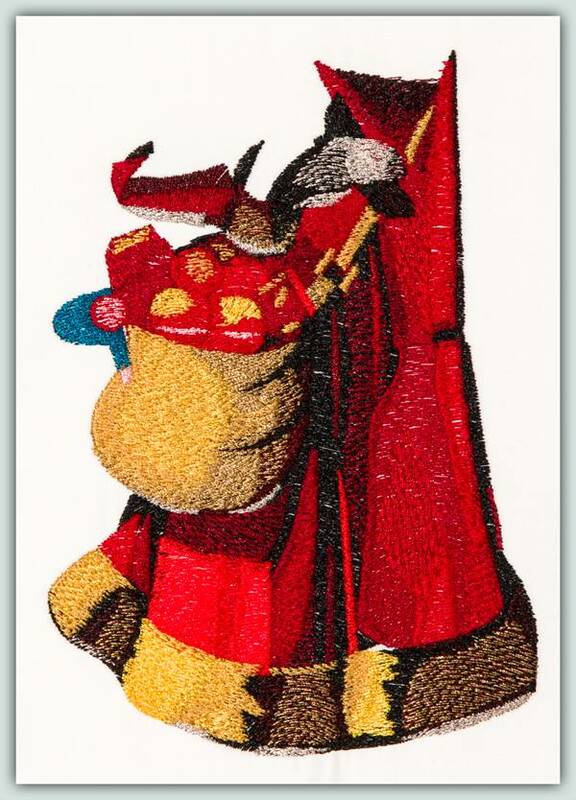 You receive easy instructions to align your designs. 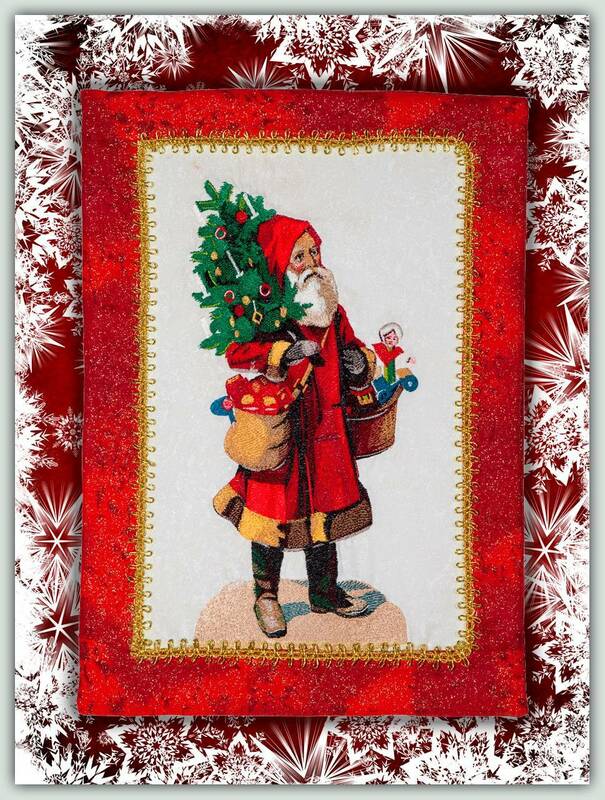 There is also a companion set to this one: BFC1187 Large Santa Claus II Finished size of Santa: MEDIUM: 6.7” x 13.0” , LARGE: 8.0” x 15.6”, JUMBO: 10.4” x 20.2”. 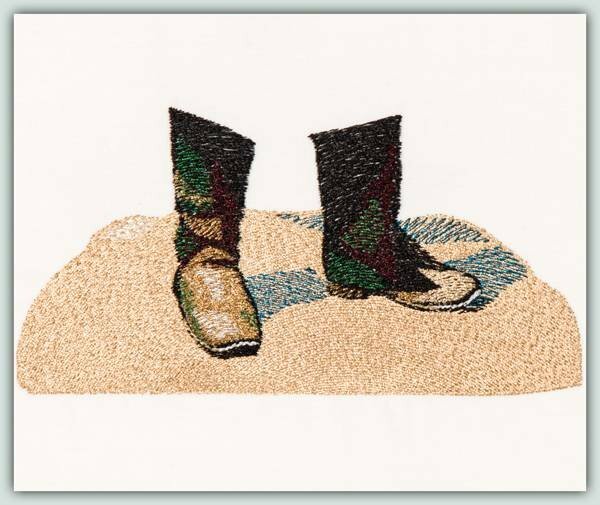 A commercial size of 6.7”X13.0” in DST is included with the complete set.